What are your options for anesthesia? 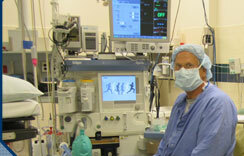 Your anesthetic options today are not limited to a general anesthetic (going to sleep). Depending on the type of procedure and your health status you may have options other than a general anesthetic. Local anesthesia, regional anesthesia, general anesthesia and Monitored Anesthesia Care (MAC sedation) are types of anesthesia available today. Local anesthesia is where just the area operated on will be the only area anesthetized. Regional anesthesia is where a larger part or portion of the body is anesthetized. You may be familiar with terms like spinals or epidurals. These are both forms of regional anesthesia. Spinal and epidural anesthesia are precise injections in appropriate areas of the back. 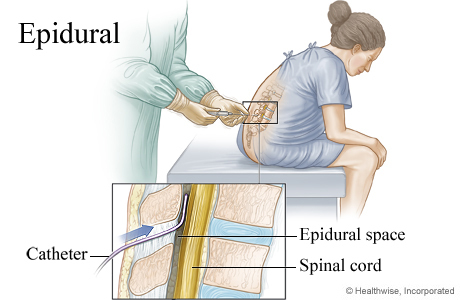 An epidural is given below the level of the spinal cord. A special needle is placed outside of the spinal sac and anesthetic medications are given through this needle. Epidurals are used more commonly for childbirth. Epidurals can provide extended pain relief. Spinals are most commonly used for C-sections and urinary surgeries. Click on this link to watch this YouTube video on epidural/spinal anesthesia. A spinal is shorter acting than an epidural. Medication is injected into the spinal fluid to numb the lower half of the body. Regional anesthesia for extremity surgery involves injecting an area where there is a concentration of nerves for that particular extremity. Injecting anesthetics into this area blocks pain for that extremity, allowing the patient to be awake for surgery. Regional extremity blocks may also provide pain relief for a time after surgery. For more information about regional anesthesia please go to our FAQs and click on the question about anesthesia options for surgery on an extremity. General anesthesia is where you are given medications to make you temporarily unconscious so that you cannot feel pain during the operation. Sedation anesthesia is where pain relievers and sedatives are given to minimize pain and discomfort during a procedure. You are able to communicate during the procedure however the medications usually produce a brief period of amnesia so that there is little memory of the procedure. 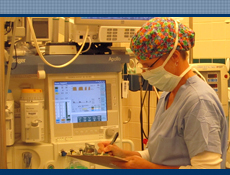 Your anesthesia provider and surgeon will evaluate and recommend the anesthetic options that are appropriate for you. Your anesthesia provider will visit you prior to your procedure to review your medical history and discuss options and answer any questions you may have. If you have had any problems with anesthetics in the past please discuss this with your surgeon so that your anesthesia provider could be made aware of it prior to your procedure. Follow the directions given to you by your surgeons office as to when you need to stop eating or drinking. Make arrangements to have someone drive you home after your procedure. For 24 hours after regional, sedation or general anesthesia you should not drive, operate machinery, make any important decisions or sign any legal documents, drink alcohol, or take any medications unless prescribed by your doctor. Plan to rest at home. If you have small children arrange for someone to care for them. Make sure you drink fluids at first and then gradually add light foods like broth, soup, toast, crackers, rice, and Jell-O.